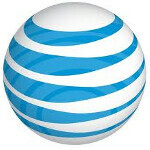 AT&T has just improved its Smart Wi-Fi app for some of the carrier's Android phones. The free app, located in the Android Market, helps you improve the battery life on your Android device by setting your preferences so that you are connected to Wi-Fi at certain times. And of course, using Wi-Fi means that you are not burning off some of your precious data time. The AT&T Smart Wi-Fi app will also help you set up your Wi-Fi connection at home, manages it, and also makes it easier to access AT&T Hot Spots. The app will store Wi-Fi networks in your area so that when you return to a location, you can be automatically connected or just reminded, if you wish, that a Wi-Fi network is within your range. The app even keeps track of your monthly Wi-Fi and cellular usage so that you can monitor your monthly plan and see how many minutes you are using each month. By installing the AT&T Smart Wi-Fi app and enabling it, you will find that your Wi-Fi radio will be disabled at times to connect you with an AT&T Hotspot depending on the settings you choose. Other personal info like your location, profile and usage will be accessed by the app in order to receive "customized content".